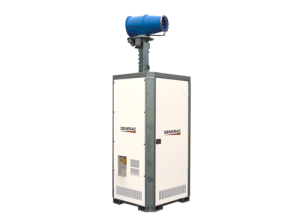 Generac Mobile® does take requests for specially designed models and will evaluate the viability of those requests on a case-by-case basis. Also available are a range of alternative products, such as light towers with double telescopic mast, extended height masts up to 20 metres and models placed on vehicles, skids or other special trailers. 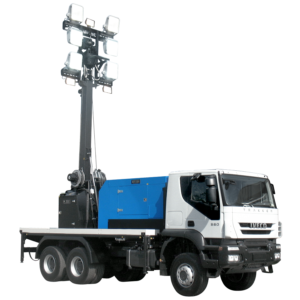 Special Light Towers are non-standard models available for our customers. We can also evaluate the viability of specially designed models on demand. Special Dust Fighters are non-standard models available for our customers. We can also evaluate the viability of specially designed models on demand.